● You can receive free shipping on orders over $300 to the United States; otherwise, shipping is $15. ● You can receive a full refund, excluding the original shipping fees, if you return the item within 14 days of receipt. Reiss provides a UPS return label so you can ship the package for free. You can exchange an item for a different size of color, online or in a store, within 14 days. ● Both the menswear and the womenswear division have a sale section where you can receive up to 70% off. ● Sign up for the email newsletter to get access to coupon codes. Reiss does not have a lot of coupons but when available, they generally offer up to 20% off your entire purchase or 30% off a select item. Reiss is a high fashion women and men's retailer that has a collection of formal clothing that you can wear to public events or on a nigh out. On their home page you will be able to select whether you are shopping for a woman or a man and then view different product categories that they have including suits, knitwear, dresses, and more. To view the items that have been recently marked down in price, take the time to visit the outlet page. Also, if you have items that you want to buy in the future, the wishlist is a convenient tool. 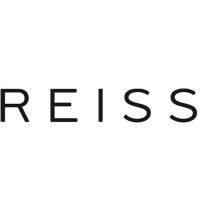 For most up to date offers check out Reiss on Facebook and Twitter or contact Reiss Support for any questions.